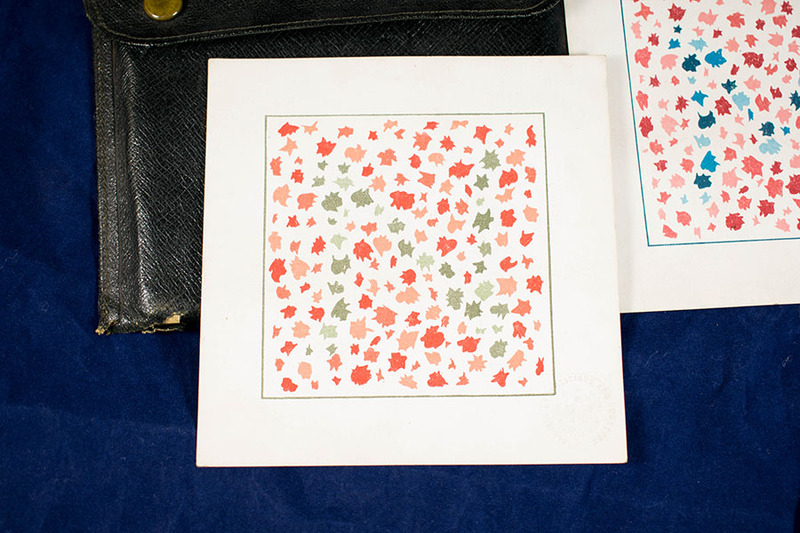 Edridge-Green colour blindness test, in leather case, c 1929. 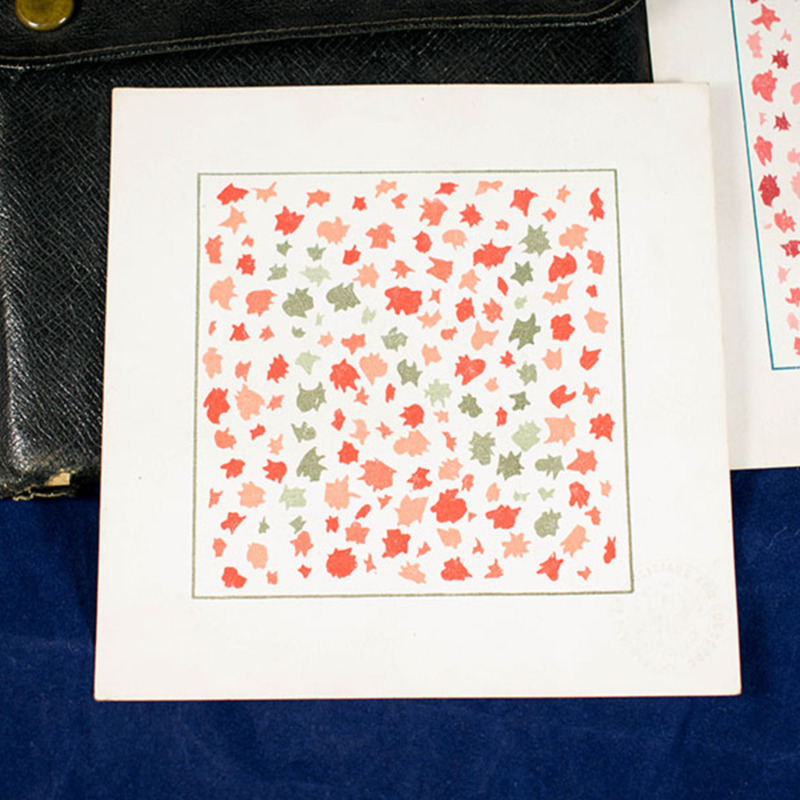 Colour blindness is the inability to distinguish between different colours. It is an inherited condition that usually affects males more than females. This pack of cards would have been used to diagnose this condition and were invented by ophthalmologist, F.W. Edridge-Green. 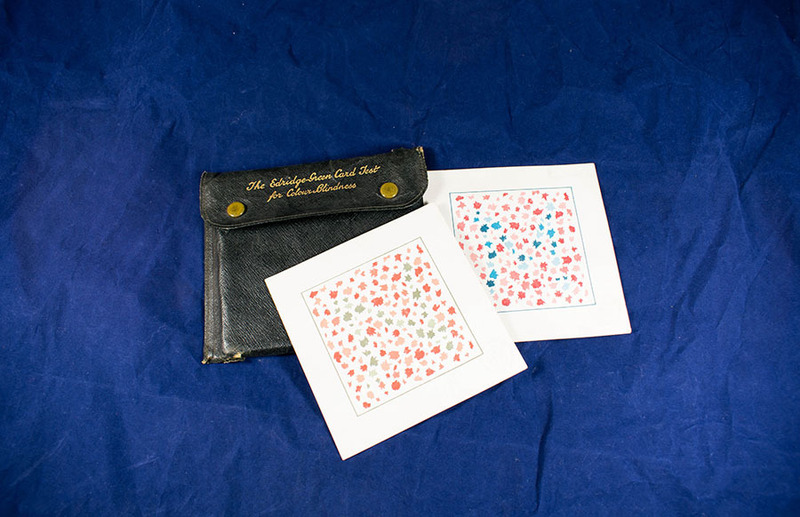 Edridge-Green; F. W. (1863-1953); Ophthalmologist, “Edridge-Green Colour Blindness Test ,” Heritage, accessed April 23, 2019, https://heritage.rcpsg.ac.uk/items/show/132. 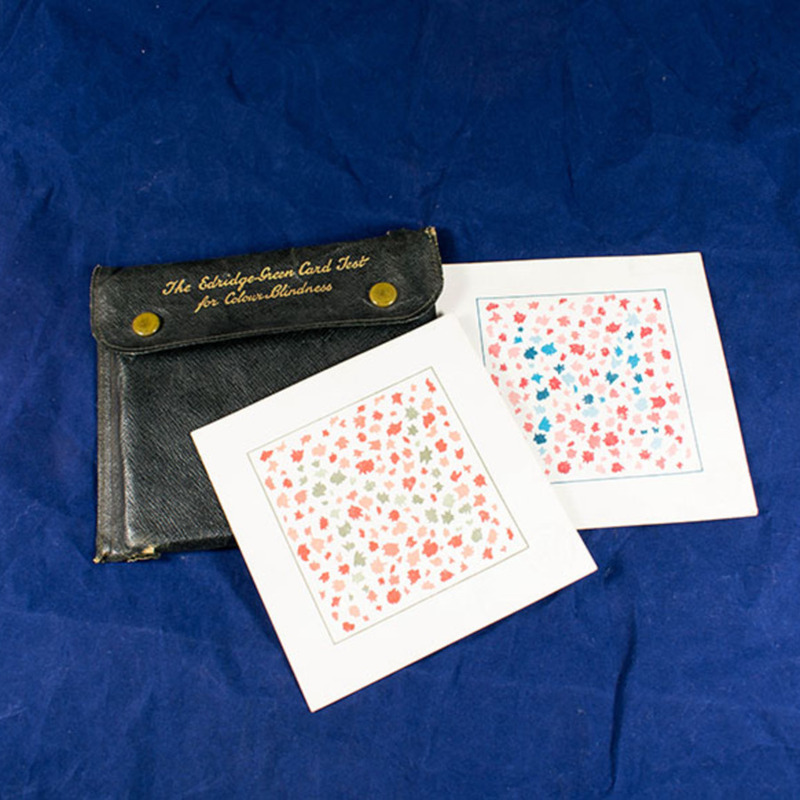 Description: Edridge-Green colour blindness test, in leather case, c 1929. Colour blindness is the inability to distinguish between different colours. It is an inherited condition that usually affects males more than females. This pack of cards would have been used to diagnose this condition and were invented by ophthalmologist, F.W. Edridge-Green.